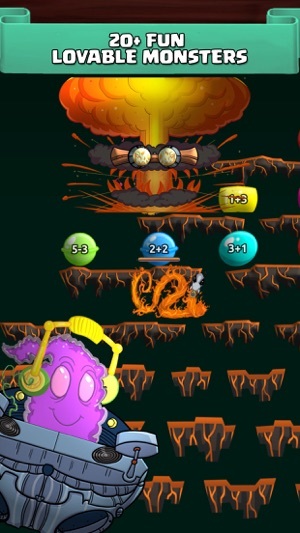 Monster Math is a new and improved version of the much loved Monster Math (which was named the “Best Math App” by PCAdvisorUK), one of the best educational math games for kids in Grades 1 - 5. Monster Math helps your child practice and learn over 40 skills within addition, subtraction, multiplication, division, times tables as well as factors, multiples and prime numbers. It is suited for Grades 1 – 5, with standard skill presets aligned with Common Core standards. These are also fully customisable to suit your kids’ aptitude and you can move to advanced or basic skills with a simple toggle. Detailed reports and weekly emails round up the educational features and allow you to get an in-depth view of how the kids is progressing in math! While kids explore new worlds and await new characters with bated breath, they don’t even realise they are getting better and faster at arithmetic! Monster Math is a hugely better approach to practicing mental math and doing math drills. Its story-line and interactivity is designed to quiz multiple skills at once and guide students towards improving their skills; unlike flash cards or simple quiz based apps, which only ask one question at a time. 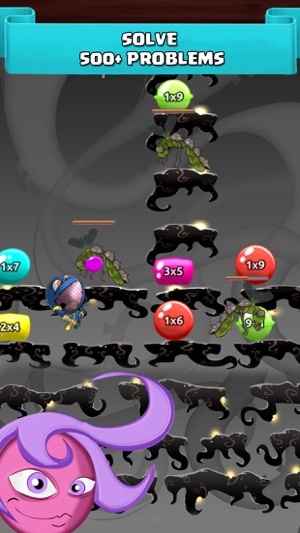 Monster Math provides a unique story and adaptive game play to tutor kids at a suitable pace. 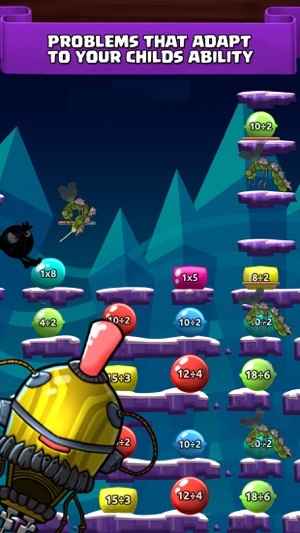 Have your kids progress through learning their core arithmetic skills while helping Maxx find Dextra! Kids love Monster Math! • Become Maxx and rescue your best friend Juno from the clutches of evil monsters! Your child can follow an engaging storyline as Maxx runs through multiple worlds and levels. 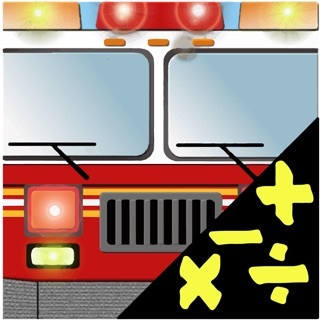 • Monster Math is better than homework, and it’s the perfect math trainer for your child. 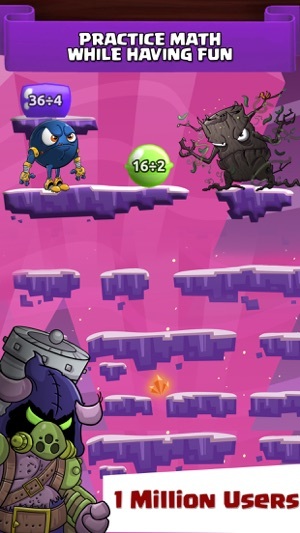 Monster Math is designed to guide struggling kids towards the right answers and has adaptive gameplay that adjusts to your child's current progress. • Learn how your child is doing with the Common Core Standards for math. See where they need help. You can even get a skill-specific analysis, as well as weekly email updates. 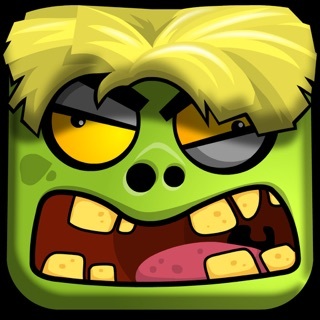 Unlock More with Monster Math! 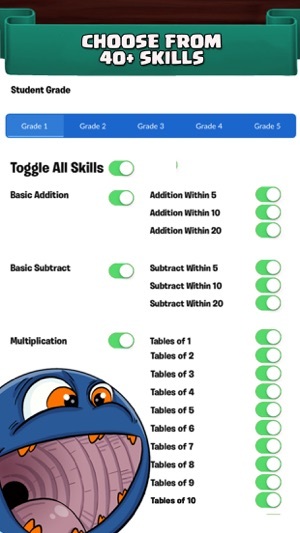 • Monster Math is your child’s personal homework and math trainer. It takes your child through 20 levels in 4 different worlds, encountering strange and funny monsters with exciting powers. And they defeat these monsters using basic math and problem solving skills that they use in class every day! K.G.A.2, K.G.A.3, K.G.A.4, K.OA.A.5, 1.G.A.1, 1.G.A.3, 1.NBT.C.4, 1.OA.B.3, 2.G.A.1, 2.G.A.3, 2.NBT.B.5, 2.OA.B.2, 3.G.A.1, 3.OA.C.7, 3.NBT.A.2, 3.NBT.A.3, 3.NF.A.1, 3.NF.A.3, 4.G.A.3, 4.OA.A.1, 4.NF.A.2, 4.NF.B.3, 4.NF.C.6. Let your kids practice all of their basic math skills and problem solving while they have fun. 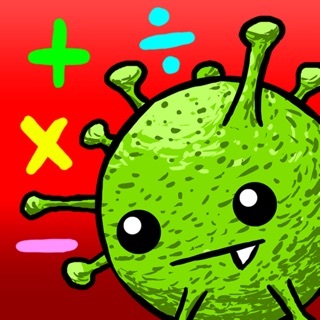 Download Monster Math now! Ok. THE first thing,I love about this app that once you go to a harder level then you go back it stays the same. 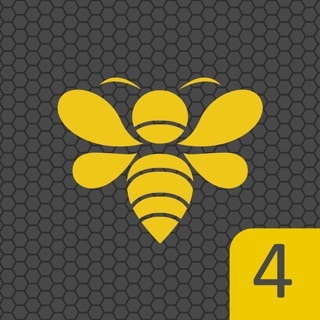 The game is overall great and my kids love to play it, and it is math, so just for that it gets 5 stars. My boys and I are a little confused on exactly how the worlds and levels are supposed to work. They want to play it like they are beating the worlds and moving onto new worlds, but I think they are supposed to play the same worlds again with new levels. And whether or not the game automatically adapts (how and when) isn't clear to me as a parent, or whether I should manually change the game to match the levels which it says they need help on. If more instructions were given there, it would be fantastic, but overall, great game. My brother loves this game a lot. It's a great way to entice children into learning maths . The characters are really funny and overall game play is really good . Great tool to teach your youngsters in a fun manner, nice. The new update is great , the app is a lot smoother and the graphics also have been improved . With the translation back learning will be more effective.